The Scottish festival in Alma, Michigan was fun! | Bonjour, amigo! The Scottish festival in Alma, Michigan was fun! We went to Alma, Michigan, on Memorial Day weekend. When we got there, we went to the Scottish festival (Alma Highland Festival & Games). They were playing bagpipes and drums. 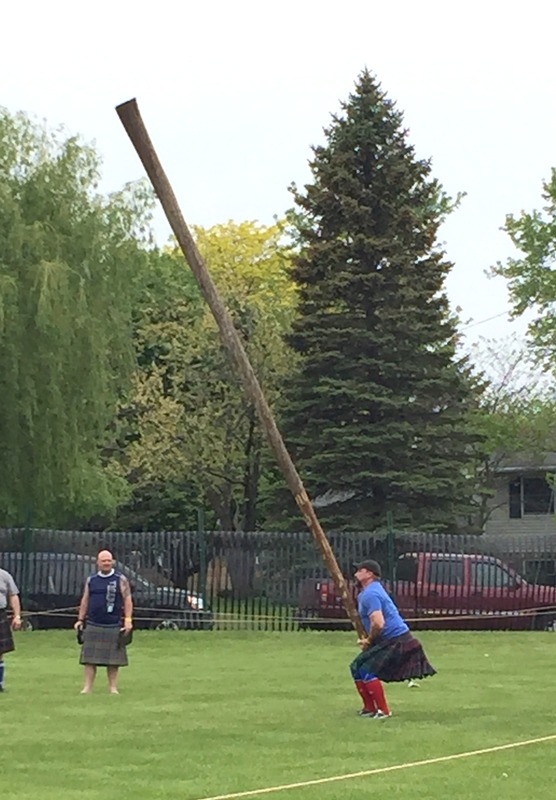 This is what my mommy really loved: the caber toss! It’s when you take a pole and you take the bottom and then you go back a little, then run forward, and then throw it, and try to make it straight at 12 o’clock. Also, we had lunch at the festival and I tried a corn dog. I loved it! It’s not a Scottish food but it was still good. Mommy, Daddy, and Anthony tried Scottish meat pies and they really liked them. But I didn’t like the Scottish food. Guess what? I got a kilt! 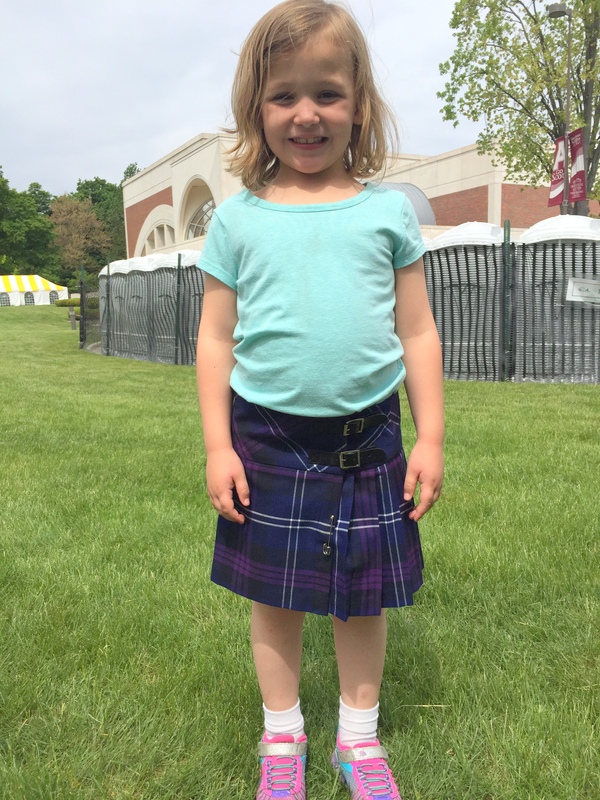 I wanted to get a kilt after we watched the girls doing Highland dancing. They were wearing kilts and I decided I wanted one. It took us a little while to find one that fit me but Mommy found me a purple one. Even after we had lunch, I tried to do Highland dancing for my Mommy and Daddy and Anthony, and now I want to take Highland dancing lessons! I really liked the trip to Alma, Michigan. And so did Mommy and Daddy, too. We stayed in a hotel in Mt. Pleasant, Michigan. And also we went in the pool and Mommy and Daddy taught me how to swim! It was a very fun weekend and I hope we can go to another Scottish festival soon! What a great kilt. This looks like a blast, and I love corn dogs too!